Do You Love it? You Know You Looooooove it…. I never learned the meaning of those words, but I recall feeling a heck of a lot smarter. Never in my nerd history would I speak such fluff. It’s probably no surprise this girl was popular, very popular. She was easy on the eyes and ears. And always nice to me. Do you love it, Lyn? You know you love it. Writing? I love it so very much, and even when it’s not going well, I get kind of crazy when I don’t make time for it. My husband called me out on my irritability recently. “When you don’t get writing time, you get really grumpy,” he observed. Then he pointed out all the choices I’ve been making that take me away from writing–some of which I don’t have to make, he said. With age comes wisdom and the confidence to trust your wiser choices. If you love something, give it your best attention and the best part of your day. In a recent blog post, author Hope Clark recommends that we “Eat Dessert First” and note where we give our best energy in our days. Today I worked somewhere in the vicinity of page 57 of the new version, the overhaul of HOW WENDY REDBIRD DANCING SURVIVED THE DARK AGES OF NOUGHT. How much further I thought I’d be by now. But I do every day what Doris Betts recommended–start a few pages back before where I left off, and get back into the rhythm and the flow of my prose. I go over things painstakingly, lovingly, and slowly. That’s the only way this is going to get done–with the TLC you give a growing child. There’s one other point to this–the why behind me loving it. Sure, writing is my vocation, it’s in my genes, but I love it because I get to choose what I write and how I write. For years, I told my students what, when, and how to write. Some of them still thank me for it, but here’s the rub: the only way our kids are going to looooove it is when they have more choice. Professional writers get to choose, and they choose often. The journalist racing after that scoop; the marketer choosing the best diction to get the buyer following a call to action; the grant writer culling facts and pitching a mission so funders will come calling with funds: no matter what the writing prompt, most professionals get a big say in the what and how of their writing. If not, they have choice to leave that gig. Even when writing for a client, your talent and expertise always have a say, because you’re the boss of the words. How can teachers make more room for choice in the English classroom? I believe our opportunities to do so increase with the recent advent of the Common Core Standards. But that’s a post for another day. And how can writers make more time to do what they love? Find when you’re at your best each day and make that 15, 25, or 50 minutes to give writing your all. Note I didn’t say a full hour. I’m realistic about this love affair. Time must be snatched when it can. If you love it, really love it, you know you can make something of the very few minutes. There’s as much choice there, making the most of every moment, as anything else. 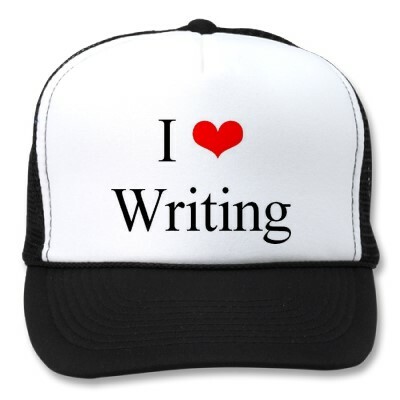 What do you love most about writing? What gives you the biggest thrill? Make a date with yourself to find this joy, either today or tomorrow–but no more postponement than that! Do you get nasty when you don’t write? After apologizing to whomever you mistreated, write a manifesto, directed at yourself, claiming your writing time. Go read something that gives you joy, and have scribbling paper close by. Steal a favorite line to start your next poem or story. Because you love it so much, your writing must get the attention it deserves. If you don’t have a writing partner or group or a contest to enter or any other impetus or deadline, do something about the situation, now. Write some goals and frame them with something artistic. Make these goals visible and prominent. If you are a writing teacher, make a commitment to providing student choice in writing prompts. Go design some. Great post, Lyn. It’s so easy to let even things related to writing (blogs, FB, website, teaching, etc.) get in the way of the actual act of writing. Yes, especially in this age where authors must manage a platform and so much marketing. The writing machine loses steam if it’s on overdrive with blogging, tweeting, etc.